A loan of $1,275 helped a member to pay for more bags of rice, gallons of vegetable oil and gallons of palm oil. Isatu leads a group of five members. She is the one standing in the middle of the picture. 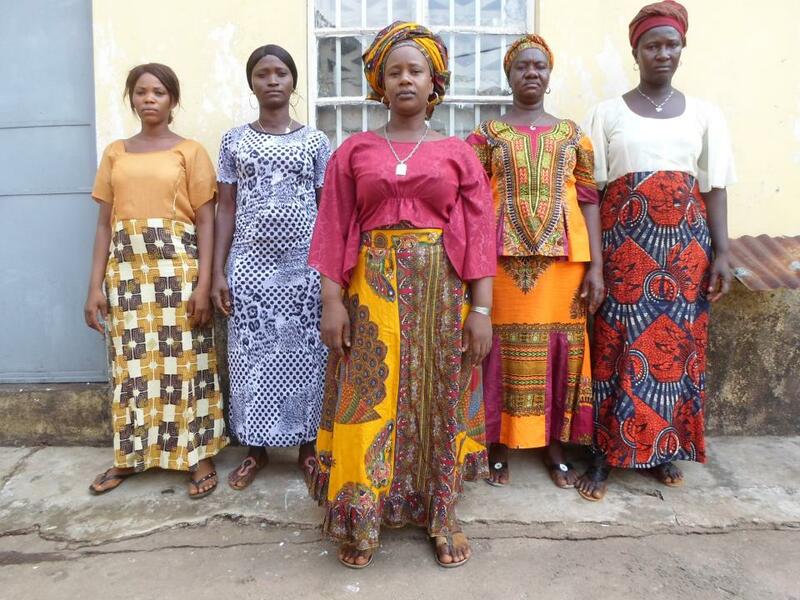 Isatu is 43 years of age, married and a mother of three children ages 20, 15 and 10. She lives with her children and husband. Her children studies in secondary and primary school. Isatu runs a food (cooked food) business and makes a daily income, which she uses to support her family. She now wants to purchase more bags of rice, gallons of vegetable oil and gallons of palm oil, so she can expand her business and improve her earnings. The other women in the group are also engaged in income-generating activities and seek a loan to purchase their necessary materials. Isatu and her members need a loan of SLL 5,000,000 and she is to receive SLL 1,000,000. Your loan will help these women earn better and live more comfortable lives. They thank you for your support.